Want to boost your Membership sales by changing your sales copy or adding answers to FAQ's? 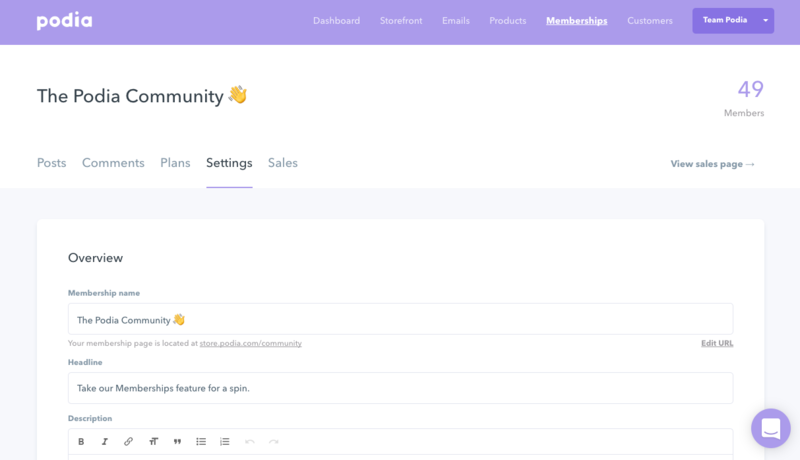 Update your Membership community name, headline or description. 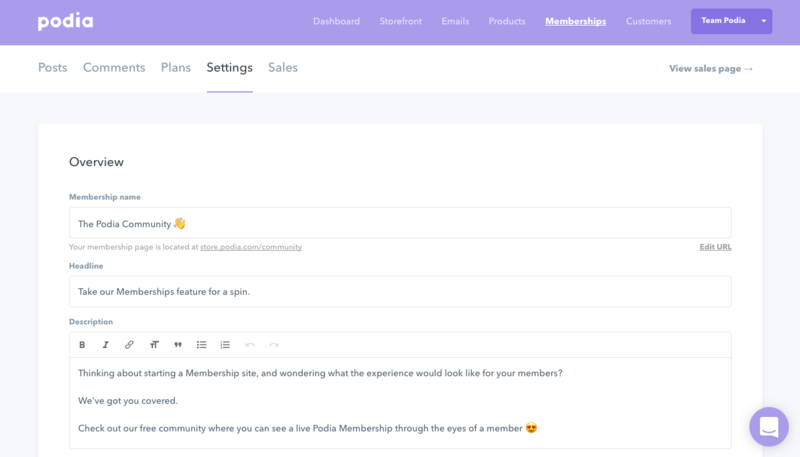 Toggle whether your Membership is currently available for purchase and/or visible on your Podia storefront. Change your cover image to make your page stand out. Upload an introduction video that your Members will see when they sign up. Add answers to frequently asked questions about your Membership community. Step 3: When you're finished making changes, click "Save changes." To see how your sales page looks, click "View Sales Page" on the right side of your screen. If you have more questions about how to edit your sales page, reach out to us at [email protected] (or click the icon below to chat with us! ).